The BBE Adult Double Clear gum shield is made from clear plastic and is specially formulated to protect top and bottom teeth and gums. They come in small plastic cases with instructions on how to mould the shields to teeth. The protection is good but limited. for submitting product information about BBE Adult Double Clear Gum Shield We aim to answer all questions within 2-3 days. for submitting product information about BBE Adult Double Clear Gum Shield. We aim to answer all questions within 2-3 days. If you provided your name and email address, we will email you as soon as the answer is published. 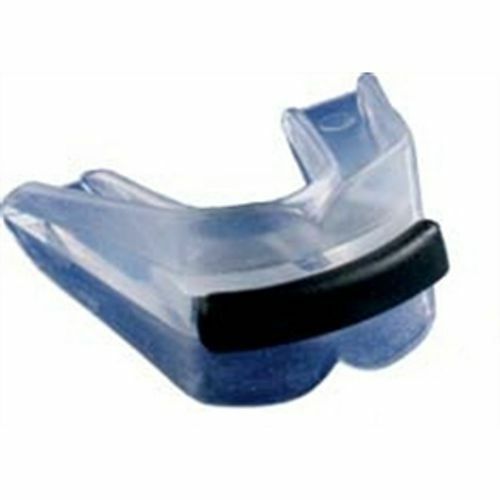 Excellent quality Mouth guard, perfect for my needs, being clear plastic allows visual inspection whilst forming. I received my order the next day, well packaged and in perfect condition. The support team were a pleasure to deal with, I highly recommend Sweatband.com and will suggest them to friends! for submitting product review about BBE Adult Double Clear Gum Shield.